Three exhibitions track the disappearing treasures of the Orient and recreate them with digital tools. 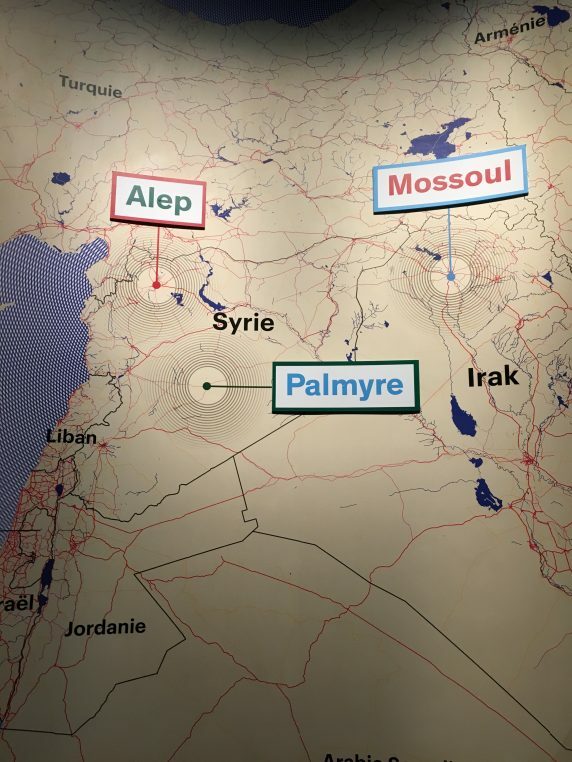 The emotion is total at seeing Palmyre, Alep, Mossoul live again despite the war. A new technic forced by circumstances and developed by Iconem, projects images on huge screens at Institut du Monde Arabe. At Cité de l’architecture, the large fortress of Krak is described over the centuries, at Musée Guimet photos of Bamiyan cliffs by Pascal Convert complement archive pictures of Kandahar by Benjamin Simpson. 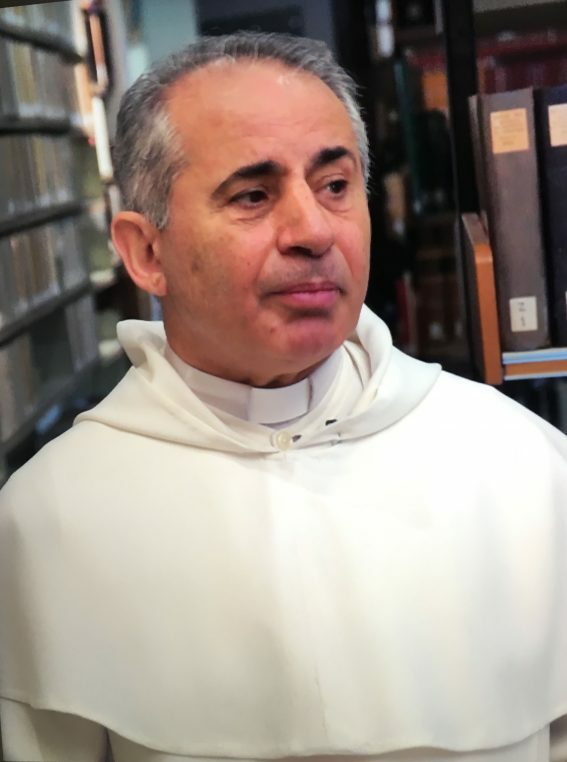 There is nothing more moving than listening to Dominican father Najeeb Michael talk about the disappeared Church of Notre Dame of the Hour in Mossoul, Irak. His perfect French tinted with a little oriental accent tells the story of the destruction of his city and saving hundreds of books and manuscripts after Daech’s bombings. Another image shows the destroyed mosque and suddenly Mossoul, this name heard constantly on the news, takes a human dimension thanks to the technic of Ubisoft. 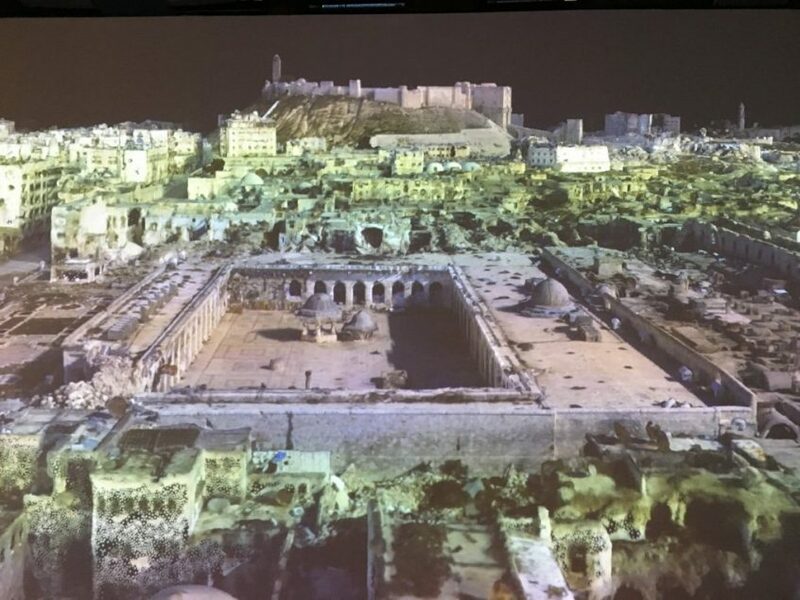 It is really a unique show put on at IMA, where Palmyre resumes a normal appearance thanks to the numerous photos and documents kept in the Paul Collart archives in Lausanne, and Leptis Magna, in Libya, which amphitheater could sit 16 000 spectators, can be seen again… on screen. The virtual voyage is immersive and if you have seen these countries before, the emotion is decuplated. 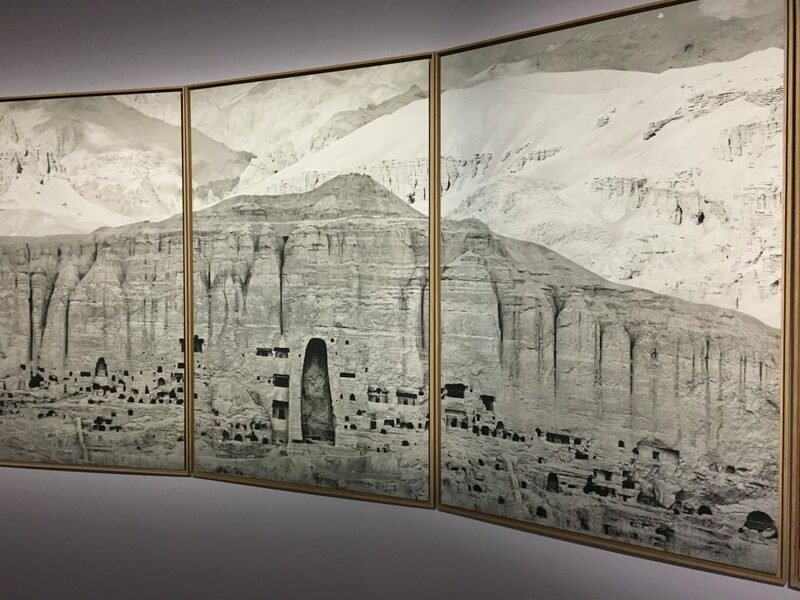 At Musée Guimet a short exhibition shows pictures of the destroyed monumental Buddhas of Bamiyan, Afghanistan, by the talibans. The monumental photograph by Pascal Convert is shown in the rotunda on top of the museum. 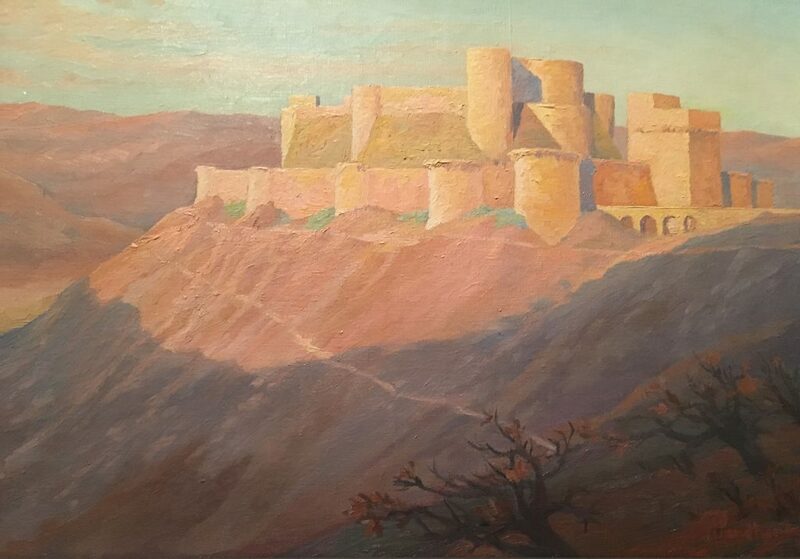 At Cité de l’Architecture, we go back in time to the early 1920’s when the French decided to save the Krak des Chevaliers, a large fort built in the North of Syria by the crusaders in the 11-12 th century. 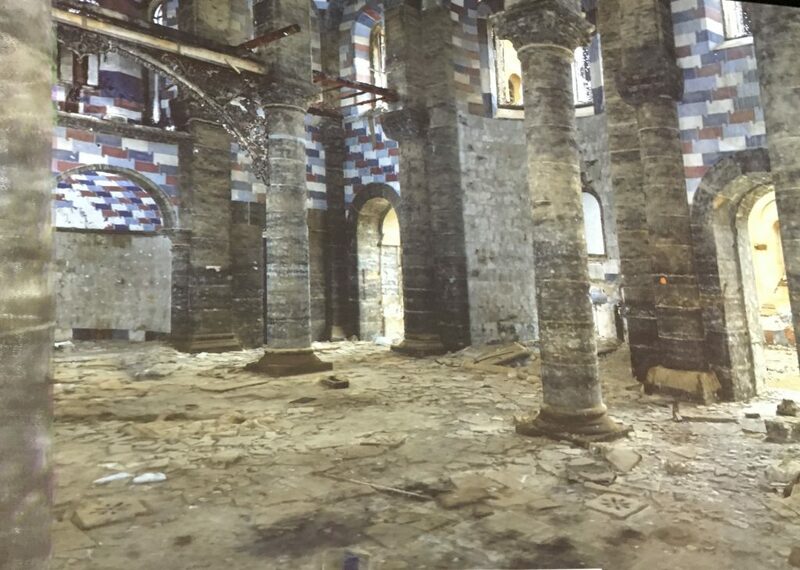 They went all the way into buying it from Syria in 1933, in order to restore the citadel which was lived in by many families and falling apart. Located on a large hill of 330 m by 140 m, it was taken over many times in history by Mamelouks. The fort, which is a unique architecture example of the crusades, was returned to Syria shortly after the war. These souvenirs of the crusades are absolutely stunning and are illustrated by many photographs and paintings of XIX th century explorers and early visitors in the 1920’s. The sum of these three exhibitions gives a strong image of the turmoil in the Middle East and thanks to new technology it is very alive. IMA until Feb 2, 2019, Musée Guimet until January 28, Cité de l’architecture until January 14.